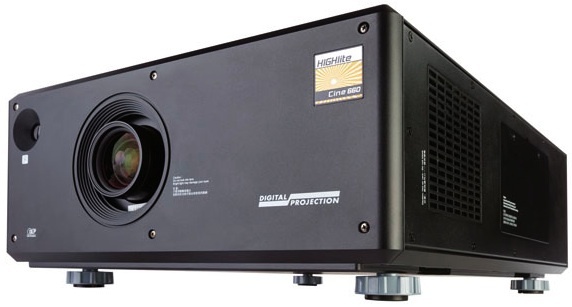 Digital Projection International (DPI) announced the dVision Scope 1080p, a native 2:35:1 precision DLP projector delivering over 2.75 million pixels of imagery when scope HD content is displayed. The 2560 x 1080 dVision Scope delivers a true 1080p solution for 2:35 aspect content without optical stretching, and without the need for an anamorphic lens solution. Through a capable combination of superior horizontal resolution and intuitive input analyzing firmware, the dVision Scope 1080p delivers the CE channel's only anamorphic lens-free, full resolution, constant height projector available today. DPI's single-chip dVision Scope 1080p delivers 2.75 million pixels of detail due to its 2560 x 1080 resolution. The higher native resolution means high-definition content experienced through the dVision Scope 1080p attains a truly awe-inspiring level of entertainment quality and performance. The superior pixel density results in imagery with more resolution detail and higher small area contrast than what was previously thought possible in the CE industry. Having far more pixels than a traditional 1920 x 1080 display also ensures that no optical stretching is needed to achieve a 2:35:1 aspect ratio, guaranteeing that no image distortion is introduced. The additional pixels also provide the benefit of actually increasing displayed resolution when the wider, scope content is presented. In addition to the unprecedented pixel density, the dVision Scope 1080p presents a superior solution for moving between 1.78:1 and 2.35:1 aspect ratio content (or any content wider than 1.78). Traditionally, an anamorphic lens has been required in order to move between different aspect ratios while displaying constant image height. While this approach produces solid results, anamorphic lens solutions add significant cost, as well as mechanical and optical complexity to a home theater system. Equally as important, anamorphic optics consume about 10% of the projector's brightness while also reducing the contrast ratio. Bypassing the need for an anamorphic lens when employed in a constant height application, the dVision Scope 1080p presents a compelling and cost effective alternative to purchasing and installing a peripheral anamorphic lens system. 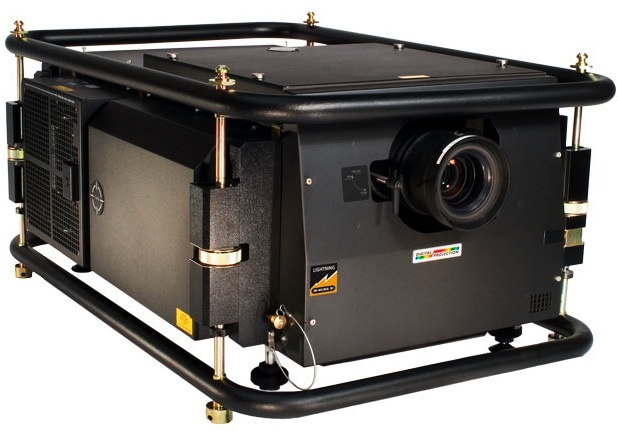 No anamorphic optics are required when the dVision Scope 1080p projector is employed in a constant height application. When 1.78 content is being viewed, that content is simply displayed by the projector at native 1080p resolution. When wider aspect ratio content is presented, the wider content continues to be displayed at 1080 pixels of vertical resolution, so the vertical height of the image is maintained. Horizontally, the image is re-sized to as much as 2560 pixels, depending on the aspect ratio of the source being displayed. 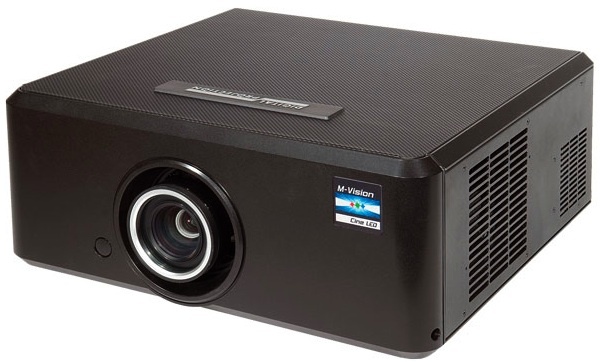 The projector's aspect ratio is thus adjusted so that the wider content is presented with increased horizontal resolution (beyond the 1920 horizontal pixels associated with 1080p content). Specifically, when scope content is presented, the projector automatically detects the presence of the “letterbox” black bars within the signal, and immediately re-sizes the image to fill the height of the DMD (1080p) while also presenting the proper aspect ratio by increasing the horizontal pixels employed. 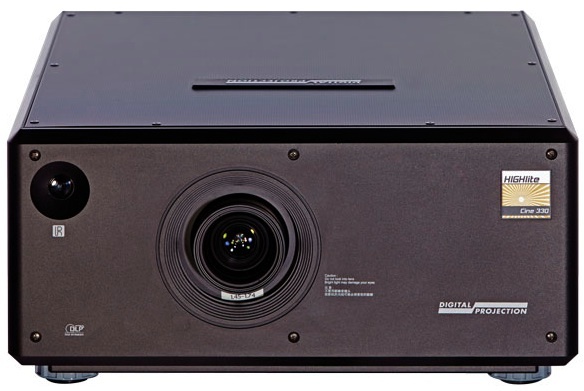 The new dVision Scope 1080p projector inherits the field-proven reliability and exceptional optical qualities of DPI's long-respected dVision series. Suitable for home entertainment venues with medium to large screens, the Scope 1080p is quiet, elegantly designed and offers a diversity of system capabilities. Installation flexibility is assured through an extensive array of ultra-accurate optics, which provide throw ratios as short as .8:1 and as long as 4.5:1. 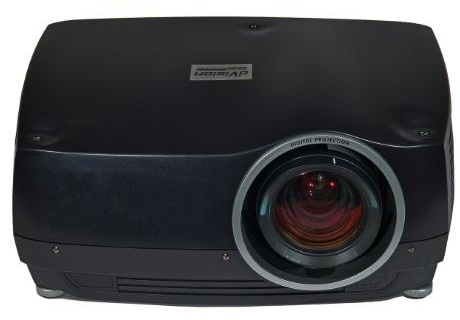 Projector lumens and black level can be further optimized to suit venue conditions through the straightforward adjustment of the motorized lens iris. Additionally, the Scope 1080p's quick-change motorized lens mount provides a broad range of horizontal and vertical lens shift, allowing the projectors to be placed in a wide variety of locations in relation to the screen. Intuitive user controls and comprehensive source compatibility assure all dVision displays are simple to integrate, control and operate.